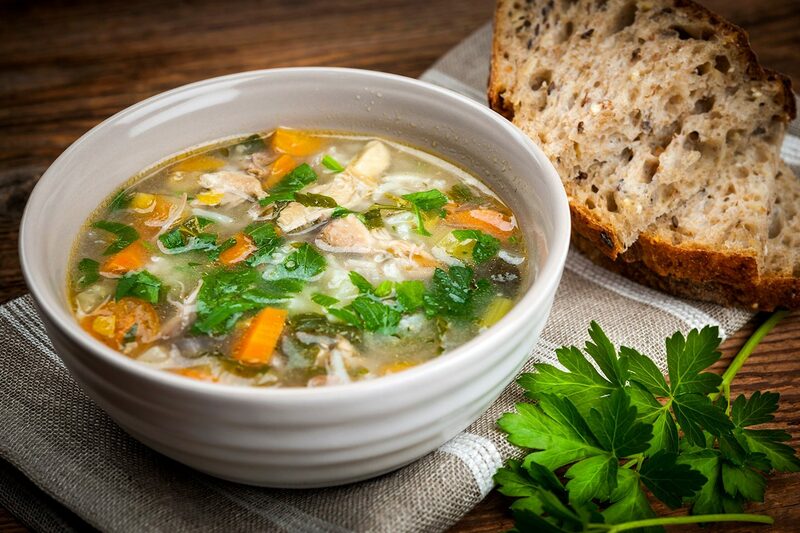 A cure-all in traditional households and the secret ingredient in gourmet cooking, bone broth plays a role in all cultures whether it is used for nurturing the sick or adding flavor to cuisine. This mineral-rich infusion is easy to digest and provides nutrients that are highly absorbable. 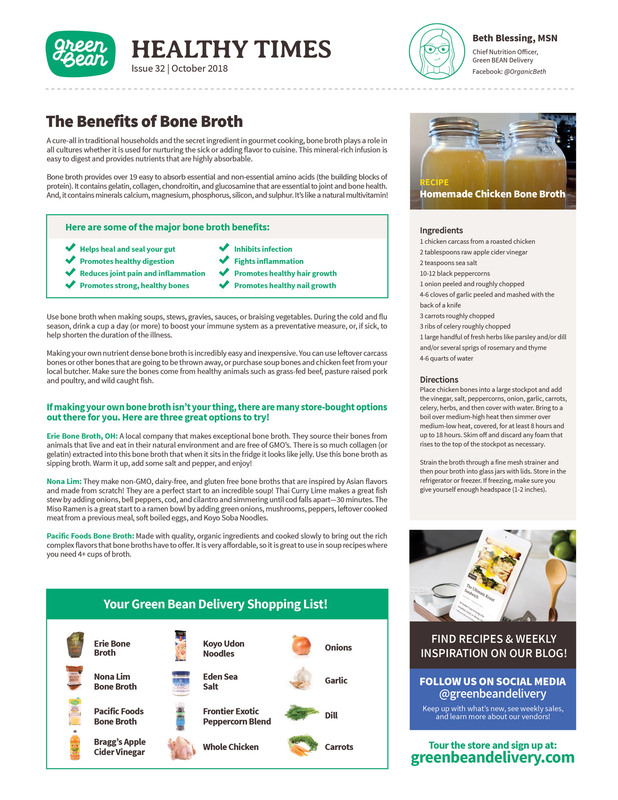 Learn more about the health benefits to consuming bone broth, such as how it promotes healthy hair growth, strong bones, and fights inflammation. Plus, follow Organic Beth’s recipe to make your own homemade chicken bone broth! Download this month’s newsletter. Read our September Healthy Times Newsletter on Brain Health.